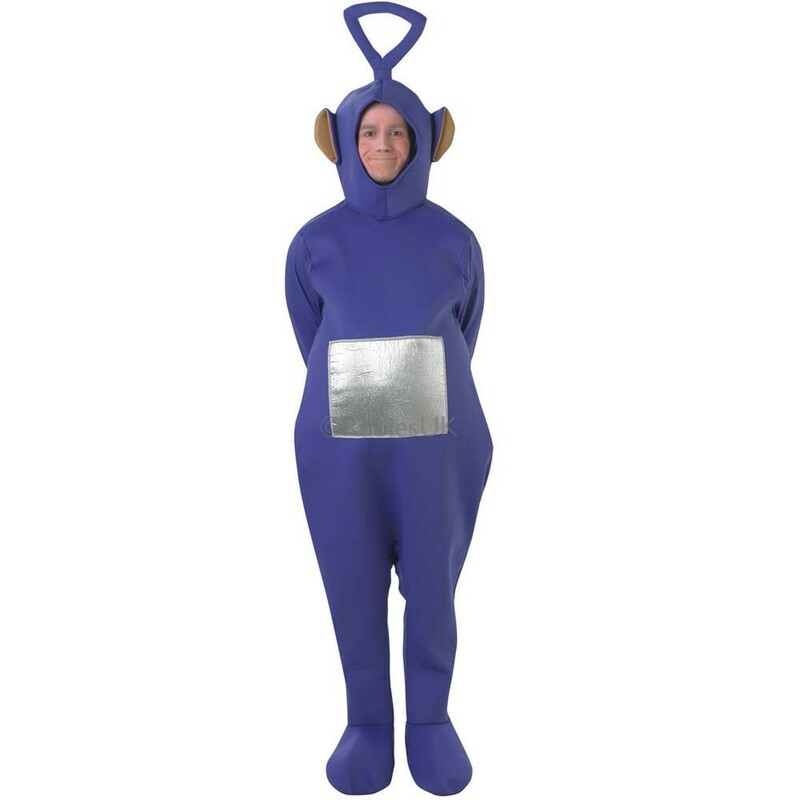 Stand out at any fancy dress occasion with this iconic Tinky Winky Teletubbies Costume, perfect for Comedy or Decade themes! The Teletubbies is best known as the TV show that swept the nation in the 1990s. Despite finishing in the early 2000s, the Teletubbies are still a popular Comedy fancy dress option! This Tinky WinkyTeletubbies Costume includes bodysuit and headpiece. The fun purple bodysuit has an internal pouch for belly stuffy and shiny silver ‘TV’ detailing just below the chest area. The padded headpiece fastens under the chin and has the classic triangular shape on top. This Tinky Winky Teletubbies Costume is perfect for almost all fancy dress occasions in the 90s, Comedy or Television theme!